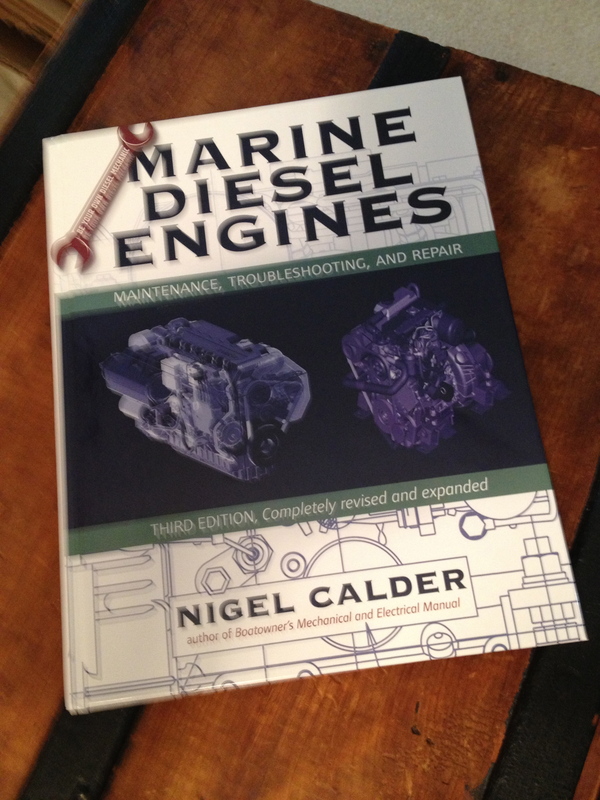 Book Review: Marine Diesel Engines by Nigel Calder – Howard Boat Works, Inc. If you have a diesel engine in your boat, or are just interested in how diesel engines work, this book belongs on your shelf. You are no doubt aware that your diesel engine needs clean air, fuel and oil to operate properly and have a long life. But do you know, specifically, why that is? Nigel Calder has those answers and more in this book. Even if you never get past Chapter 3 “Routine Maintenance: Cleanliness is Next to Godliness”, the book is a must have because Nigel explains in conversational, non-techie language just what is going on inside that beast. This basic information is enough to reinforce to you as a boat owner and operator what basic care and feeding your engine really needs to have a long life. Chapter 4 and 5 get into Troubleshooting procedures, Chapters 6 and 7 describe various repairs, Chapter 8 gets into marine transmissions, and finally Chapter 9 discusses engine selection and installation. In the likely event you’ll not be doing some of the repair procedures described yourself, wouldn’t it be nice to know what’s involved when your mechanic does a job?